David Walter Billger, 67, formerly of Pottsville, passed away peacefully Sunday, Feb. 3, 2019, while at Orwigsburg Center. 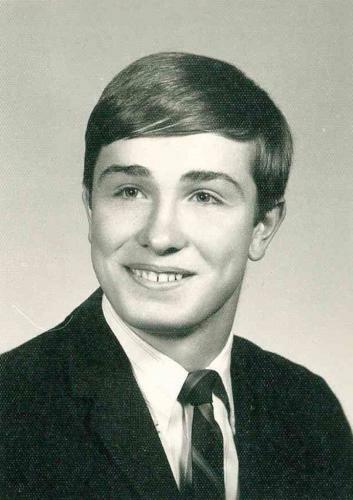 Born March 12, 1951, he was a son of the late Dr. Harry T. and Rita M. Billger, of Pottsville. David graduated from Peddi Preparatory School and attended Alvernia University and Gettysburg College. In his earlier years, he enjoyed golf, gardening, hiking and playing the piano. He remained a lifelong and avid fan of the Philadelphia Eagles, Penn State Nittany Lions and the Philadelphia Phillies. David is survived by his siblings, Denise B. Breslin, of Pottsville, Harriet B. Porter, wife of John, of Newark, Del., and Harry M. Billger, husband to Amy, of Charleston, S.C. He is also survived by his nephews, Ryan P. Breslin, of Pottsville, and Andrew M. Saxton, husband of Marie, of Newark, Del. The family wishes to extend their heartfelt thanks and gratitude for David's care to all the nurses and staff on Unit A at Orwigsburg Center. A memorial service will be held at 11 a.m. Feb. 16 at Faith Church, Route 61, Orwigsburg. A visitation will be held from 10 a.m. until the time of services. A private interment will be held on the grounds of Schuylkill Memorial Park, Schuylkill Haven. In lieu of flowers, the family asks that donations to honor David be made to the American Cancer Society, P.O. Box 22478, Oklahoma City, OK 73123, or the Hillside SPCA, 51 SPCA Road, Pottsville, PA 17901. Grabowski Funeral Home, Schuylkill Haven, is entrusted with the services.